Contacts are essential to the way in which we communicate with one another. Unfortunately, as we progress through life and electronic devices, unnecessary contacts build in our contact lists, eating up memory and causing our devices to slow down, if not stop working completely . While you may only know a handful of individuals that you wish to contact regularly, your emails and social media contacts begin to populate your contacts folders and clog up the memory on your device. Then, when it is time to trade in your device, you may spend days deleting all of the contacts to protect your family and friends’ (and even strangers’) privacy. The preferable option is to continually delete contacts from iPad as part of your regular iPad maintenance. There is one way to delete contacts from your iPad. It is tedious, time consuming, and only deletes them from the surface. It does not permanently delete your contacts. Manual deletion is not a bulk process either. Step 4: Tap the “delete” button. After doing these steps, you have successfully deleted a contact on iPad. 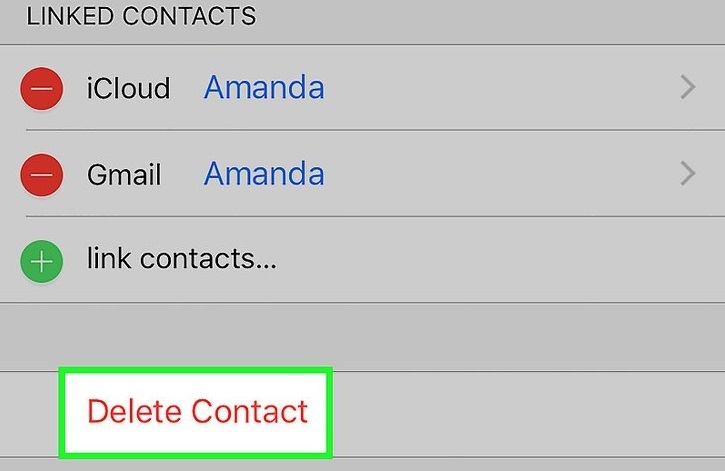 To delete multiple contacts on your iPad, repeat this process with each intended contact. The other choice is to perform a factory reset of your iPad, which will erase all of the data you have put onto your iPad. If you choose to do this, make sure you have the contacts you wish to save, saved on the cloud or another device. The problem with this method, besides the fact that it is a one and done step that could lose numerus pieces of wanted information, is that nothing is truly permanently deleted. A person or company adept at hacking can still obtain any information you thought you had deleted from your device. This includes any and all contacts, making your personal information and your family and friends’ information subject to scams, hacks, and devious electronic activity. Erase Private Data: Erase contacts, messages and the like to protect your private info safety. Erase Deleted Files: Erase the deleted files from your iPhone and avoid performance being hampered by items still hidden in your iPhone. 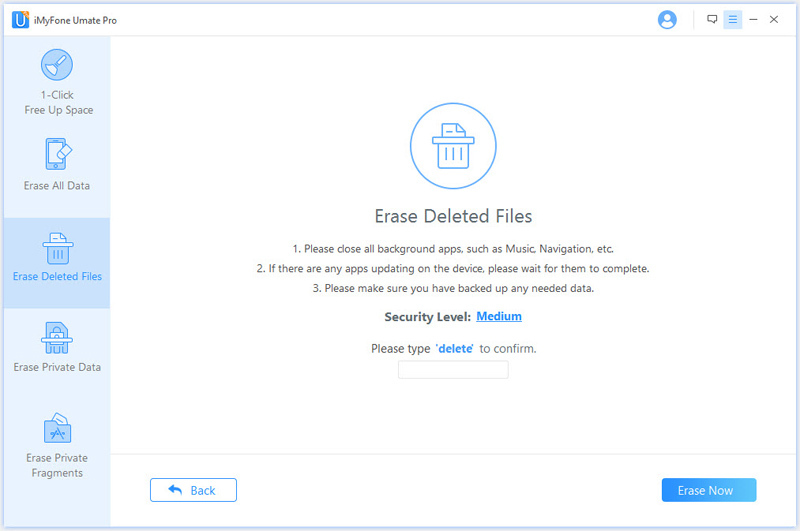 Erase Private Fragments: Erase fragments that produced by third-party apps, such as Snapchat, WeChat, WhatsApp, etc., so that no longer worry about your private data being revealed. 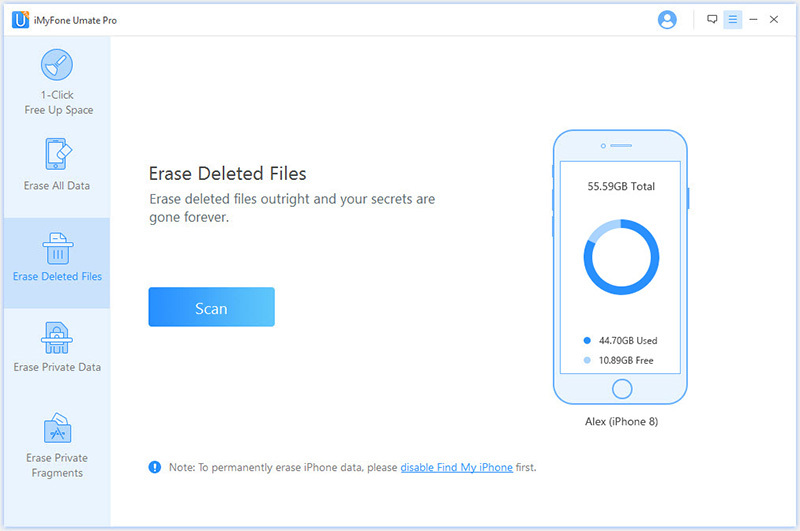 Erase All Data: Erase all of your data, make your iOS device just like a new one. 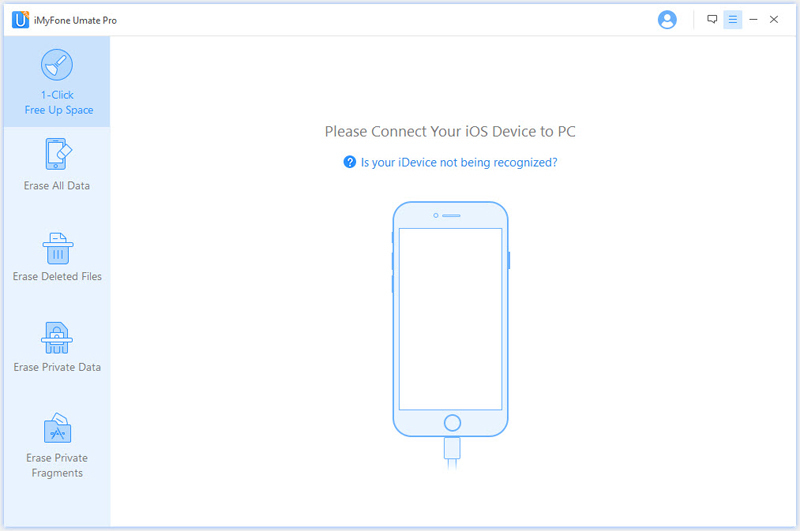 First, you must download iMyFone Umate Pro to your PC or MAC. Then, once you have manually deleted all of the contacts you wish to remove from your iPad, you can complete these steps to make sure no one will ever retrieve this information. Type “Delete” in the confirmation box and let iMyFone Umate Pro got to work. As a result, this process will help insure your peace of mind should you lose your iPad or trade it in or sell it for a newer model. If this is simply for your peace of mind and you are keeping the device, utilize the medium level which will overwrite the device with junk files to ensure the contacts cannot be recovered. 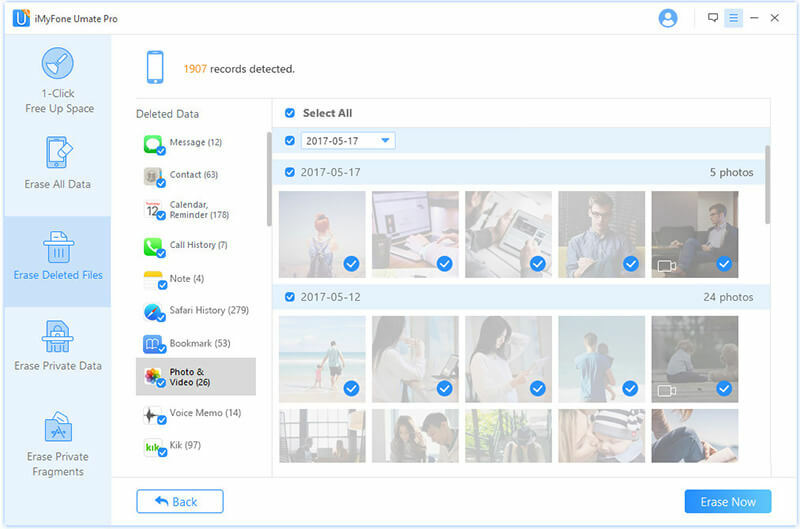 If you are getting rid of the device all together, you may want to utilize the high level which repeats the process three times to truly remove any deleted files once and for all. Either way, you can be sure your information is gone and never to return.